The “American Flex” is super flexible, lightweight and made with an elasticized vamp designed to hug and hold the foot in. 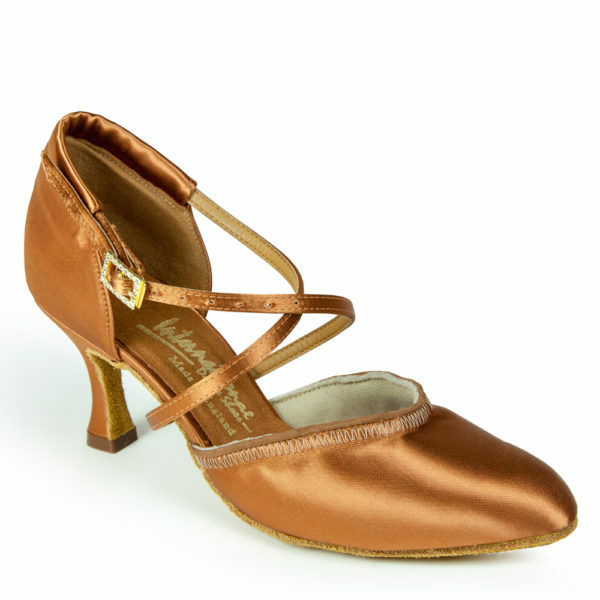 The new back design comes further around the heel and the position of the straps allows the shoe to better fit both the narrower and wider heel. Its new sponge based lining allows for an enhanced level of comfort while the gel padding allows for even more comfort. NOTE: English to American Sizing is approximate. The information is shown as a guide only and not a guarantee. Actual fitting may vary. 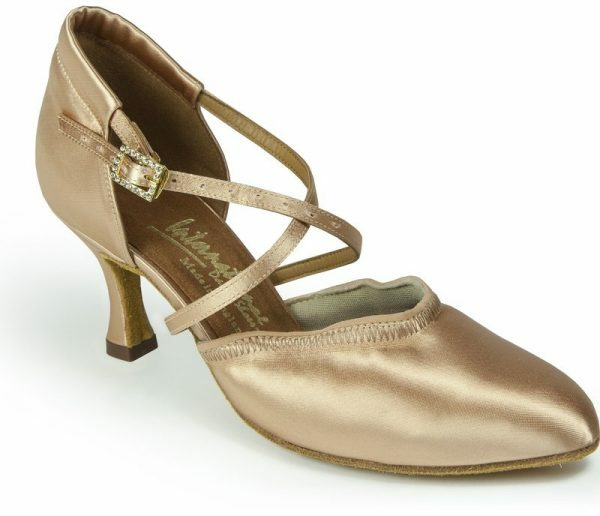 Available in American sizes 5 thru 11, Medium Width in Flesh or Tan Satin, 2 or 2.5″ Flare Heel.